This item is not in stock and has to be ordered. Therefore it has a longer delivery than normal! MapTun Performance is now launching a new and improved series of Big Brake Kits. Pair of 6-piston aluminium calipers with anodized surface for better wear and corrosion resistance. 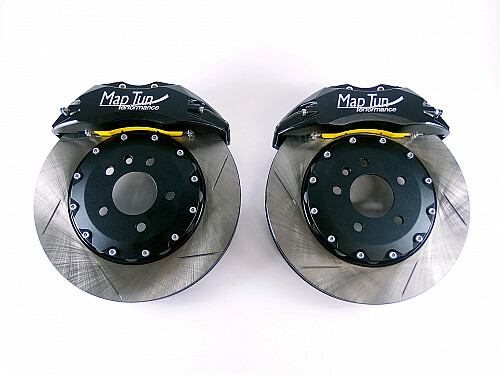 One set of sport braking pads suitable for active street driving. The pad compound is fibre-based, providing low amounts of brake dust while still offering good braking performance even at low temperatures. 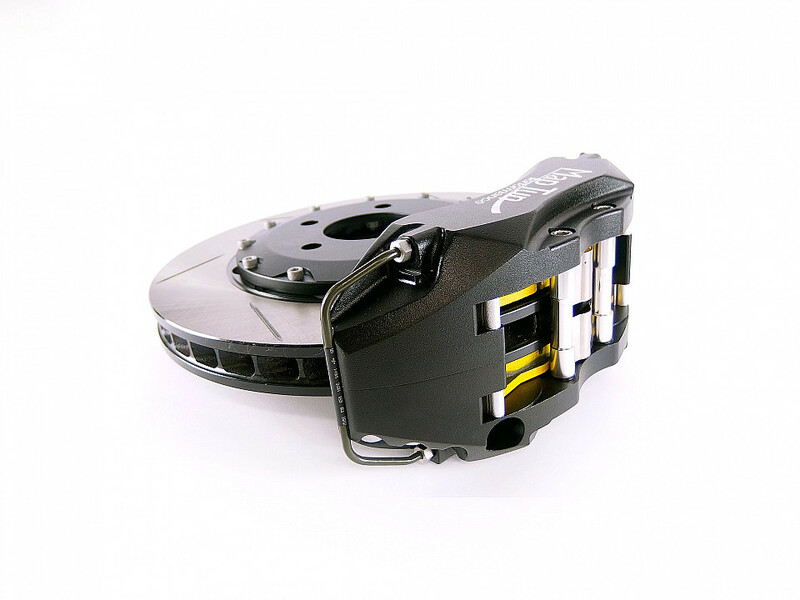 If you intend to use the brakes on tracks or for racing this brakes will reach a very high temperature, we therefore highly recommend brake pads with ceramic friction compound. This is sold as a separate product. Pair of braided stainless steel brake hoses. Pair of CNC brake caliper adaptors made of steel. Maptun Performance Big Brake Kit is designed for both for normal street driving to track days and pure racing. 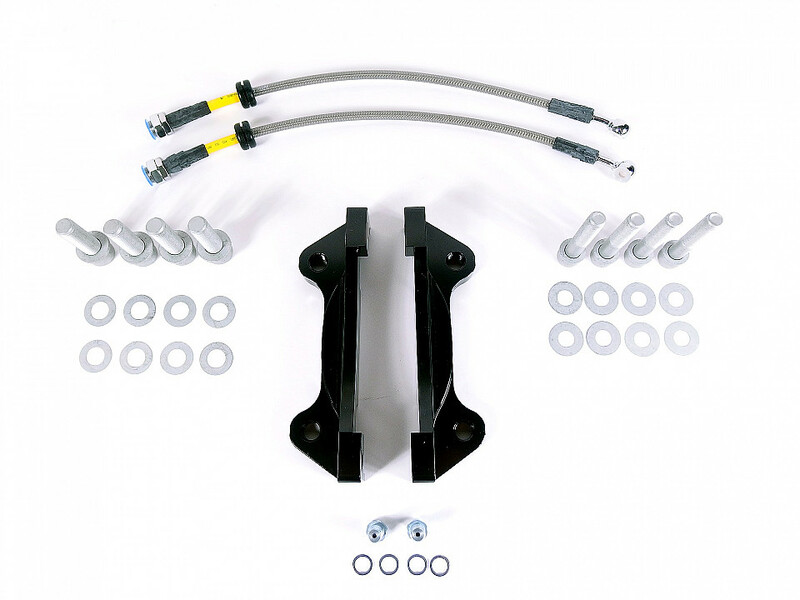 Our Big Brake Kit have optimum performance and an exclusive design. 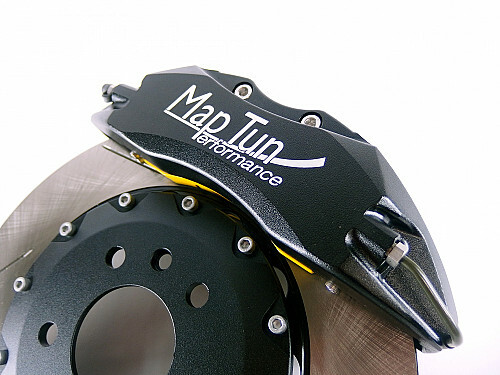 Maptun Performance Big Brake Kit have been thoroughly tested on a test cars to ensure excellent function even for day-to-day driving in normal traffic. Due to the extreme friction ratio of the pad compound there may be a slight squeaking noise when cold. This kit is not recommended for use on salty roads.